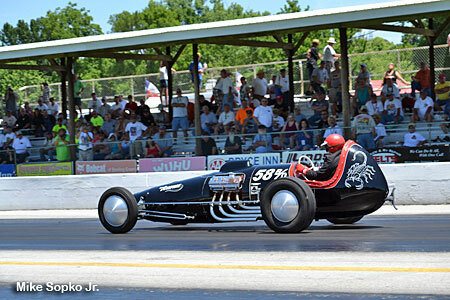 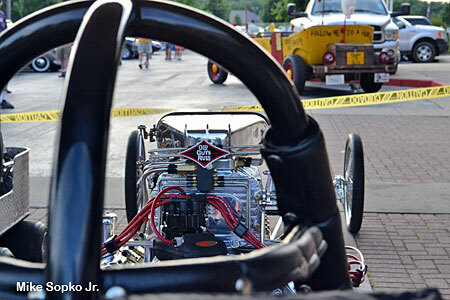 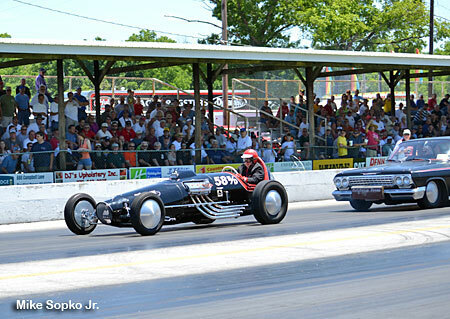 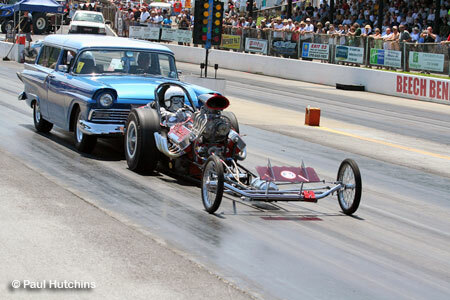 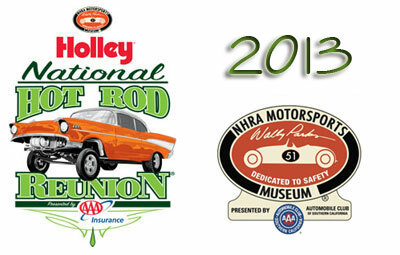 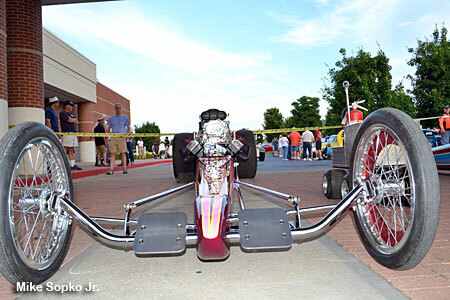 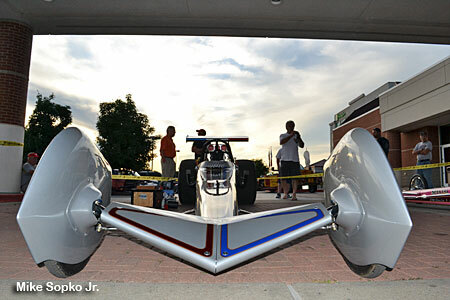 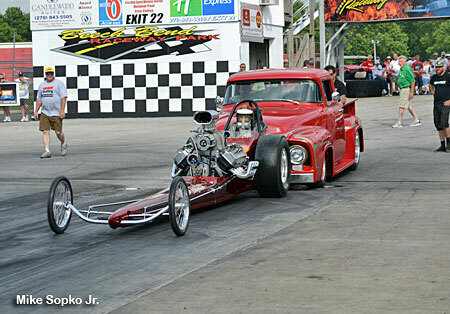 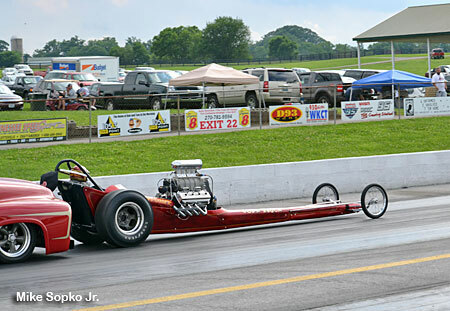 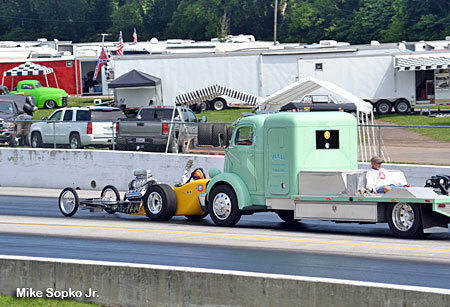 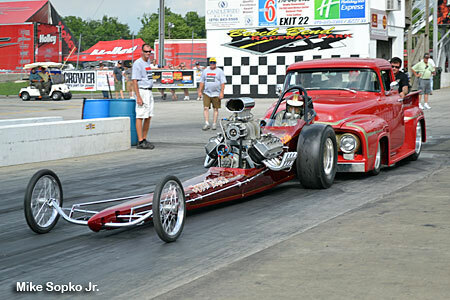 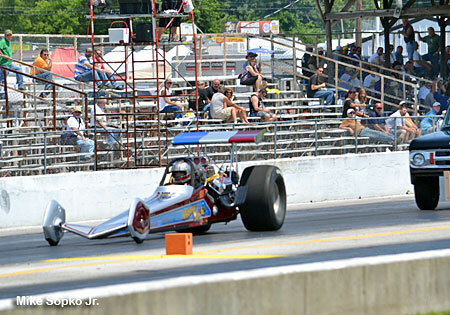 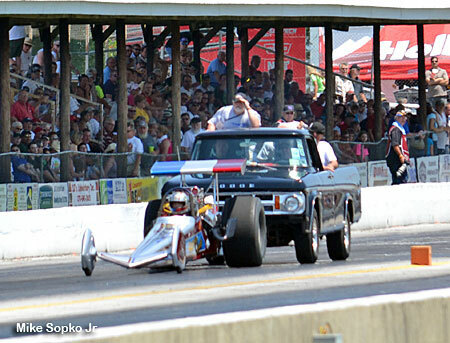 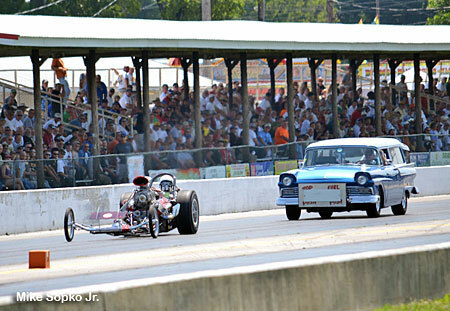 June 15, 2013 - Bowling Green, KY: Every Fathers Day weekend for the past 11 years thousands of hot rodders, nostalgia drag racing fans and cacklecar lovers have made their way Beech Bend Raceway Park for the Holley NHRA National Hot Rod Reunion presented by AAA. 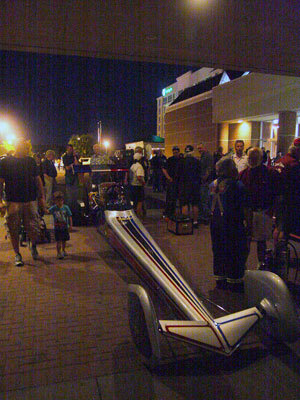 Racing and hot rods aside, for Cacklefest.com the story started on Friday with the Honorees Night at the Holiday Inn University Plaza & Sloan Convention Center, the Reunion host hotel. 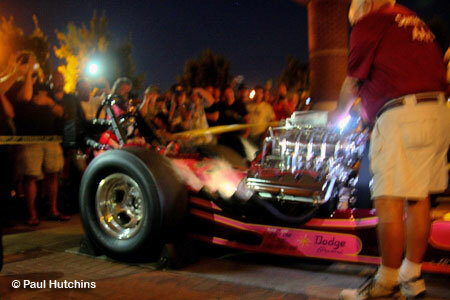 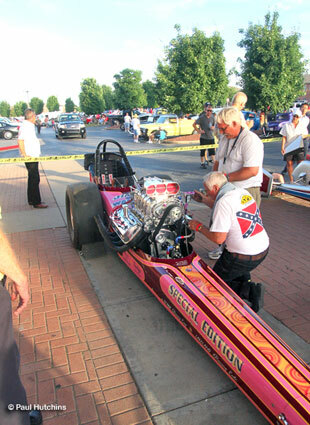 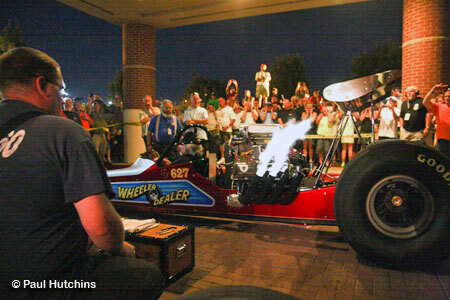 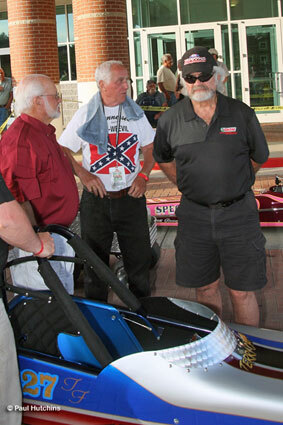 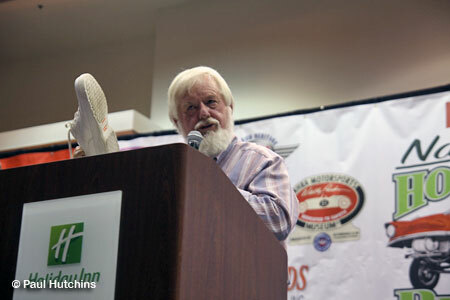 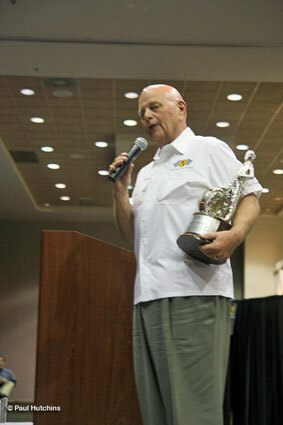 The event featured legends of drag racing with Grand Marshal Preston Davis who has long been considered one of the Southeasts best fuel racers from the 1960s and 70s. 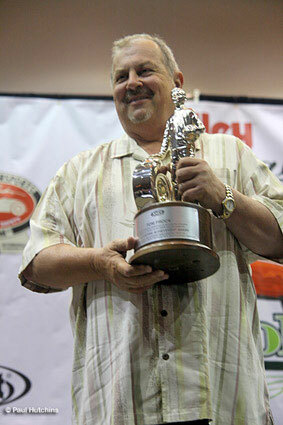 He won two Division Top Fuel Championships, a Division Funny Car Championship and is a member of the Division 2 Hall of Fame. 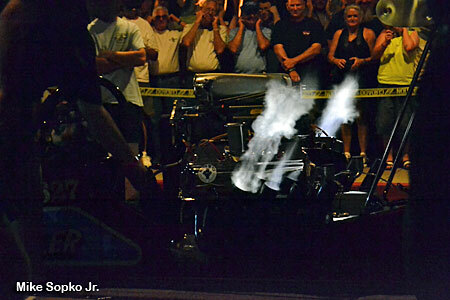 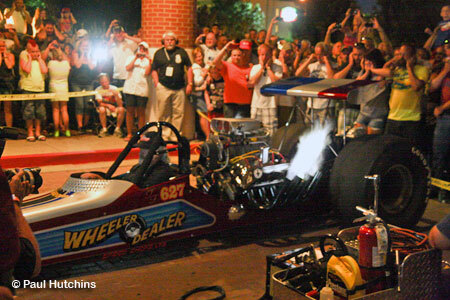 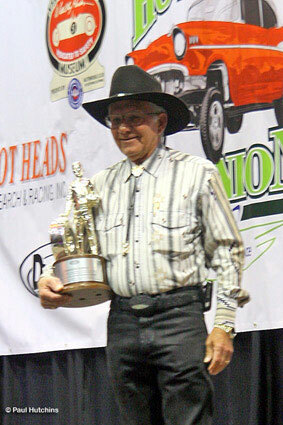 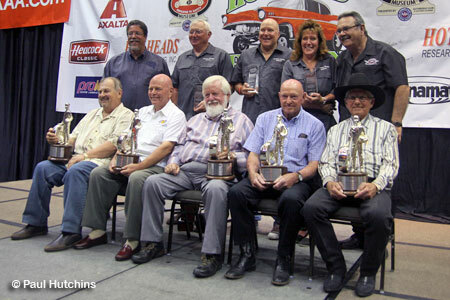 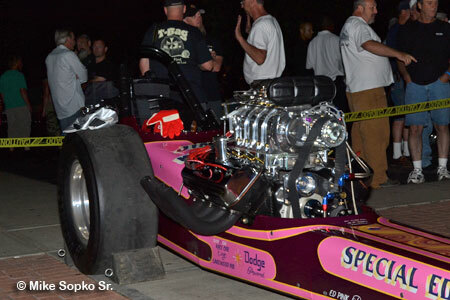 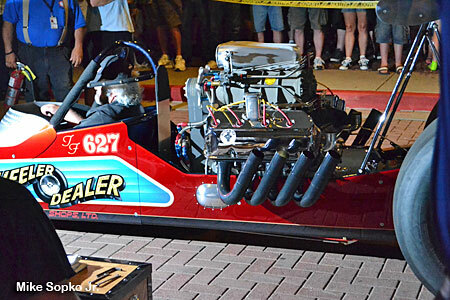 The 2013 NHRR Honorees were Alan Bockla, the original king of the Rockies who won back-to-back West Central Division Top Fuel titles and was the first of the so-called mile-high drivers to run 170, 180, 190 and 200 mph. 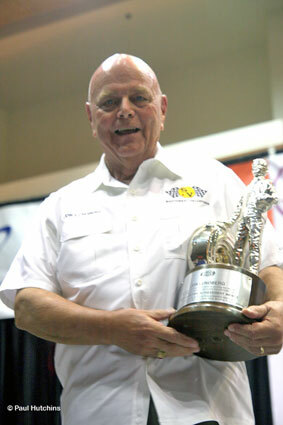 Lynwood Dupuy, retired NHRA Director of Competition is one of those rare officials beloved by drag racers coast to coast and before computer technology evolved, Lynwoods attention to detail found him keeping official records and figuring handicaps by hand. 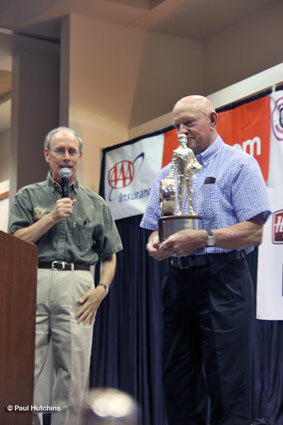 Melvin Heath built his fuel dragster in a shed on his Oklahoma watermelon farm and in 1956 he was first to win two NHRA Regional championships in a single season. 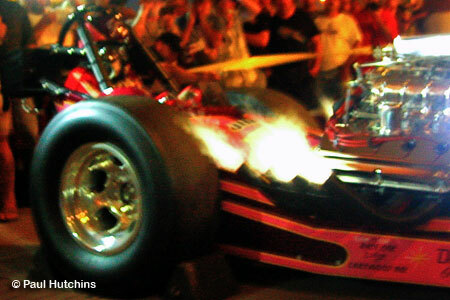 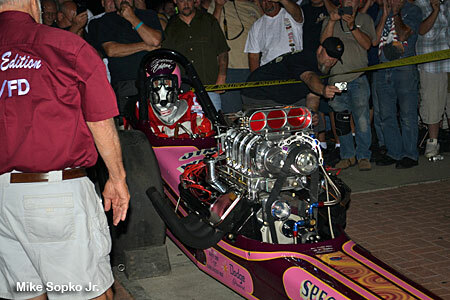 Jon Lundberg, who at 16, stood on an oil drum and announced his first drag race using a megaphone. 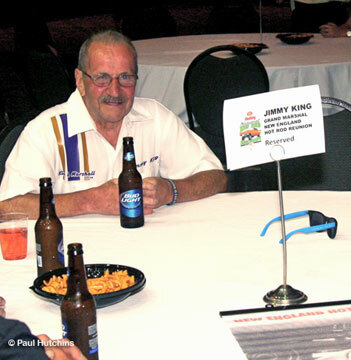 By 1962 he was announcing at three Michigan tracks. 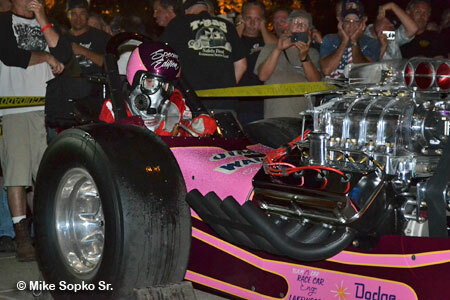 He expanded to national events in 1963 including the legendary March Meet in Bakersfield, Calif. Nicknamed the Voice of Drag Racing and Thunderlungs, he appeared at more than 120 different drag strips between 1964 and 1978. 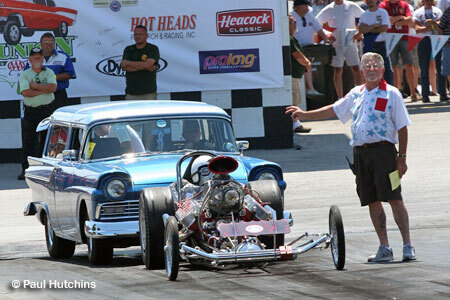 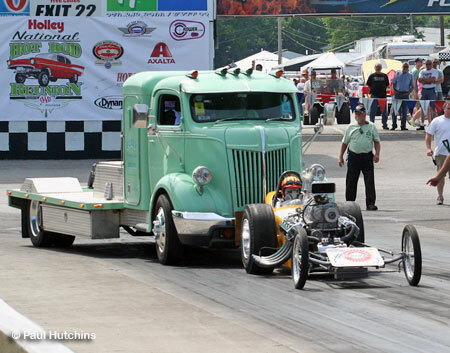 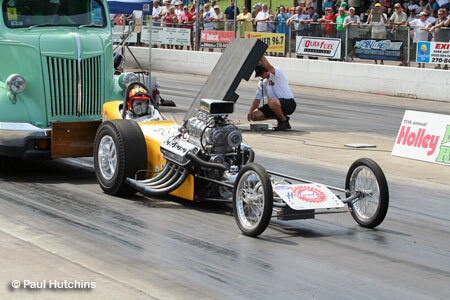 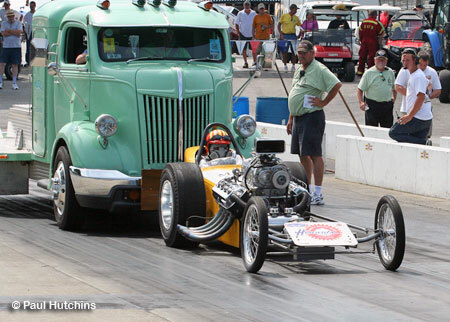 Tom Prock has been involved in drag racing since the early 60s. 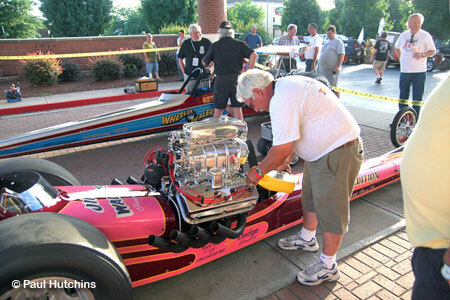 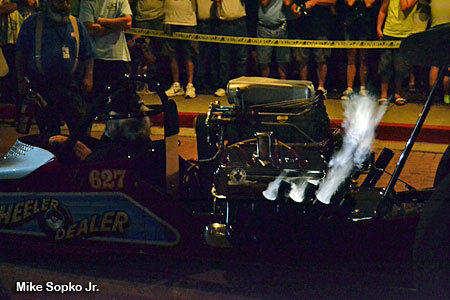 He began with gassers and in the early 70s switched to Funny Cars. 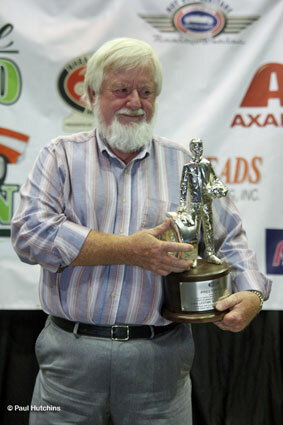 He retired from driving in 1979 to became crew chief for Tom the Mongoose McEwen. 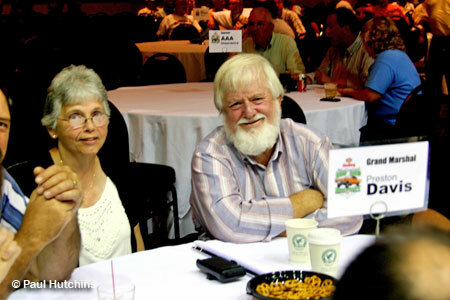 Here are just a few shots to get the flavor of the event then we'll move on to the meat and potatoes of Cacklefest.com. 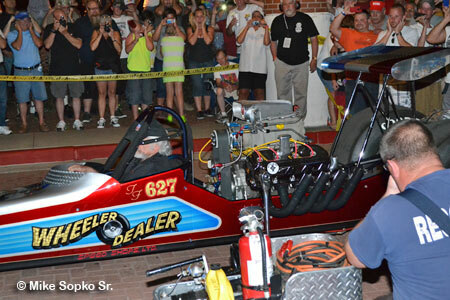 The featured Cacklefest cars were Terry Capp's "Wheeler Dealer" and Jim Walther's "Special Edition". 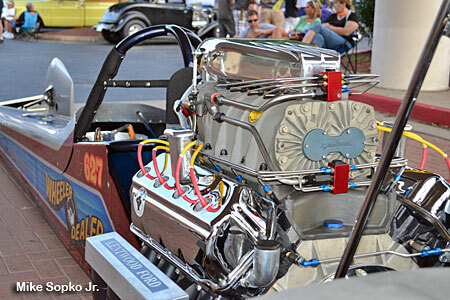 Here Carter Enroughty is making the Jim Walther "Special Edition" all pretty. 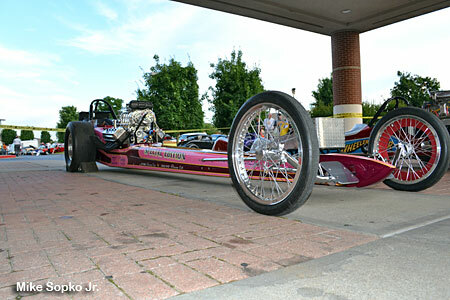 The car was restored buy its current owner, Lawrence "Penny" Flammia. 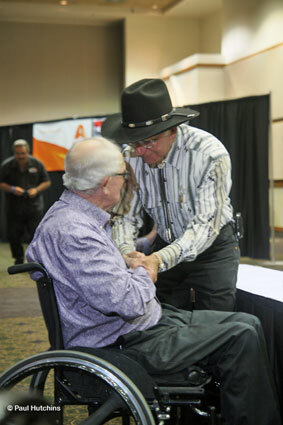 Moving inside, old friends Lynwood Dupuy and Raymond Godman before the ceremonies began. 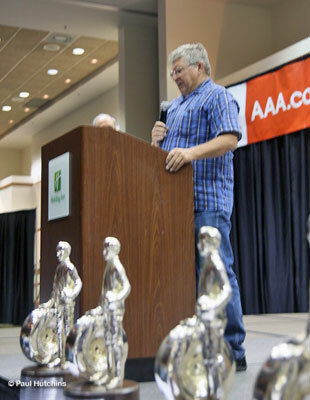 The show opened with MC Bob Fry introducing Bob Bilbow, Pat Bilbows son speaking for the Lynwood Welding folks who were the recipients of the "Prolong Reunion Spotlight Award". 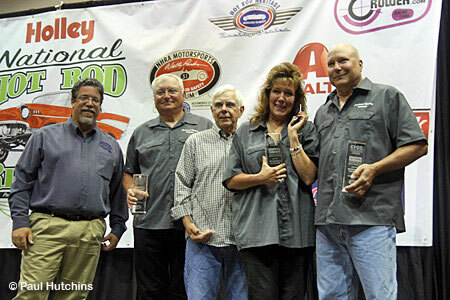 Executive Director of the NHRA Museum Larry Fisher with the Lynwood Welding group. 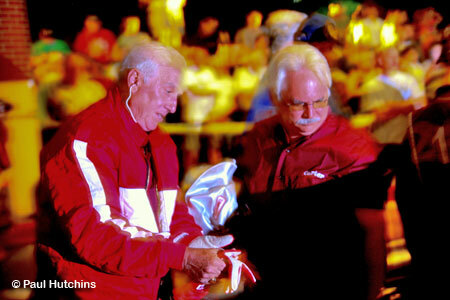 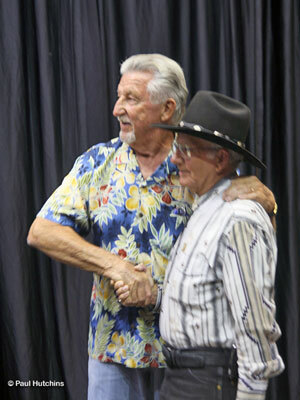 The first honoree was Alan Bockla. 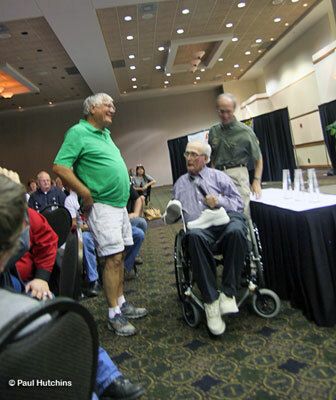 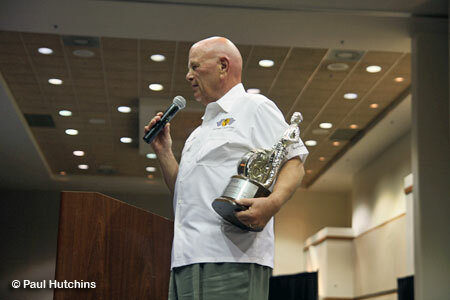 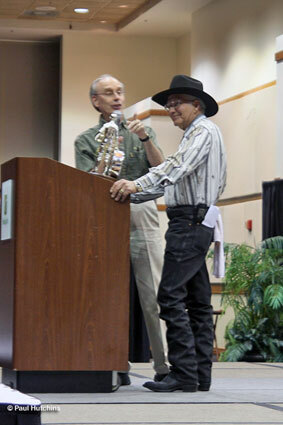 Alan was unable to attend so Larry Parenteau from Denver accepted the "Wally" for him. 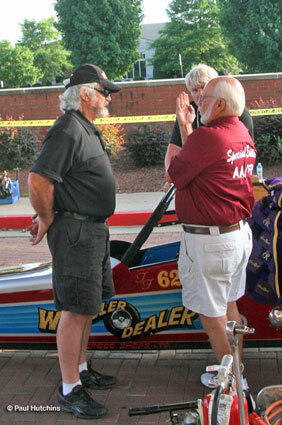 Retired NHRA Director of Competition Lynwood Dupuy and Bob Frey. 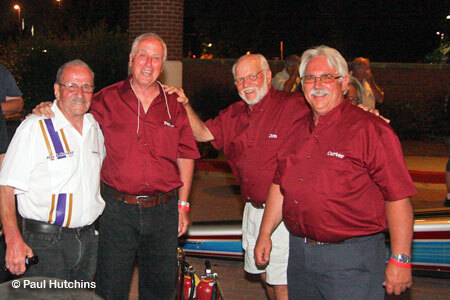 And below with Steve Gibbs. 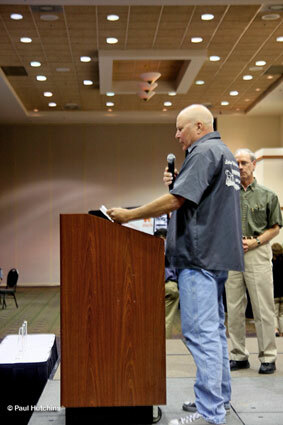 Jon Lundberg feeling right at home with a mic in his hand. 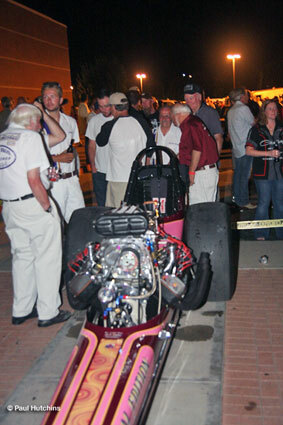 After the awards everyone migrates to the hotel entrance for the traditional mini-Cacklefest. 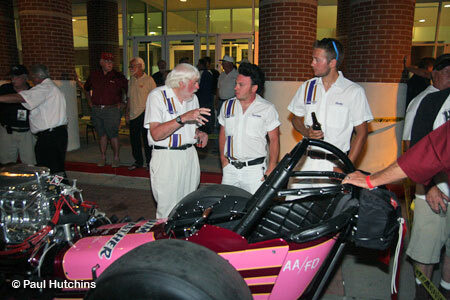 Jimmy King, Lawrence "Penny" Flammia, Jim Walther and Carter Enroughty. 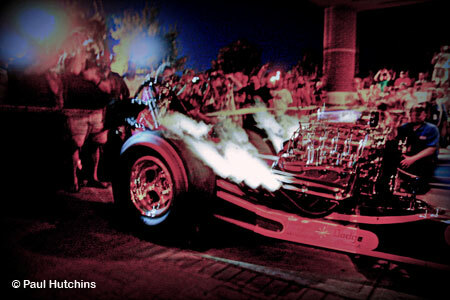 Flammia and Enroughty after the fire-up. 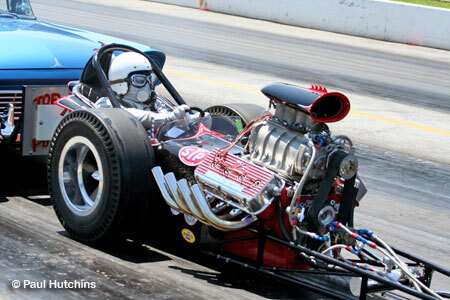 Capp fired and ran his late model hemi way longer. 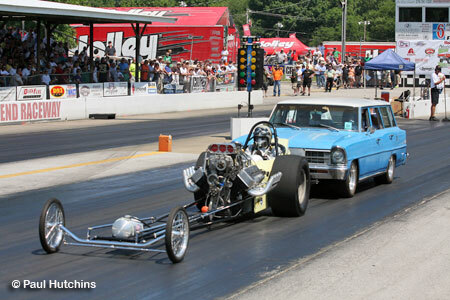 Meanwhile back at the track, one thing the fans saw over the weekend were practice push starts. 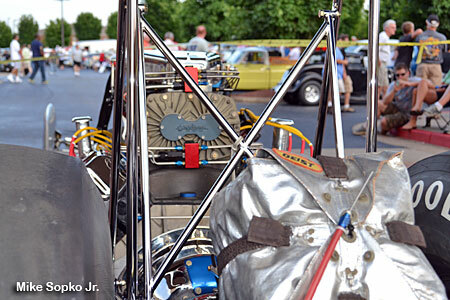 Some were mandatory for a new car or driver, some to make sure the clutch and engine are fit and some to just knock the rust off. 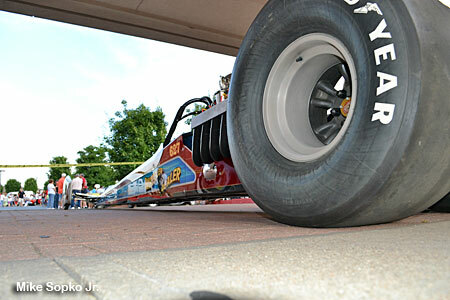 Here are a few shots of this process. 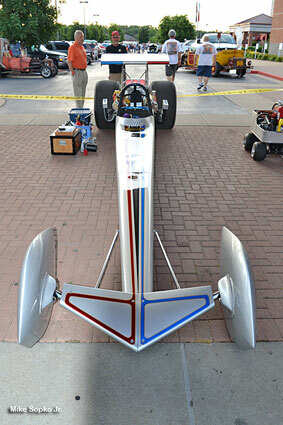 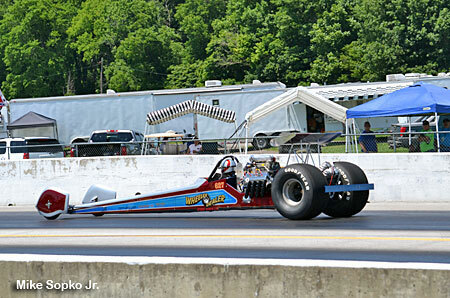 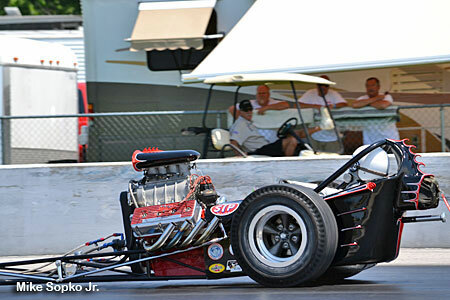 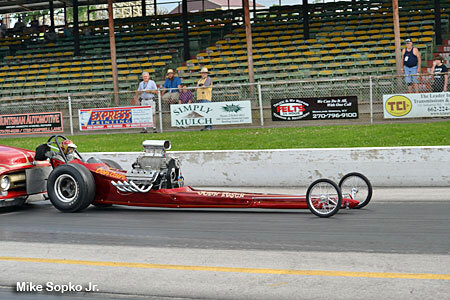 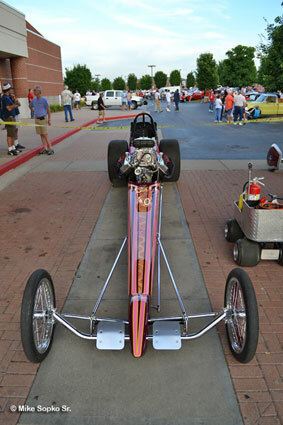 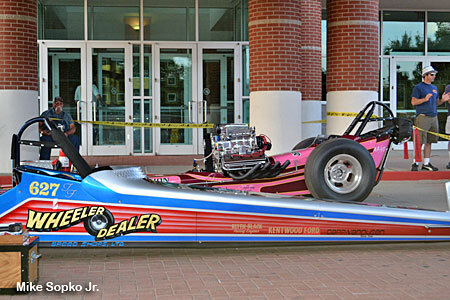 Don Ross in Bobby Langley's Scorpion I.
Pusch & Cain Top Gas dragster. 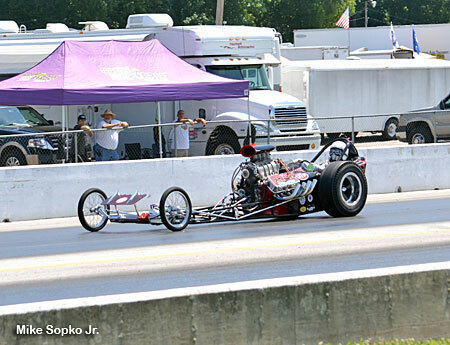 J. Ed Horton in the Hundley & Boggs fueler. 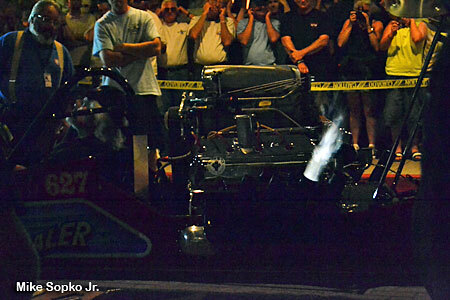 Roger "Riceman" Lee in his Masters & Richter recreation. 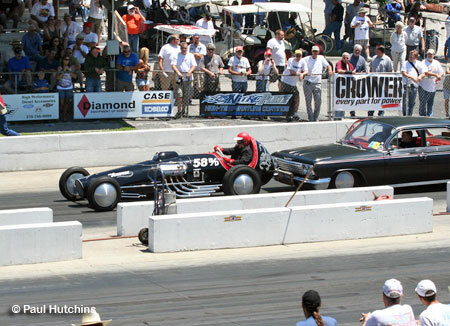 Steve Gibbs makes sure the track is clear before he sends off Bill Crosby in the Scorpion V.
New car, new driver. 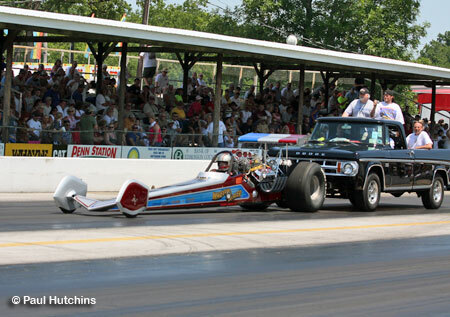 Pusch & Cain AA/GD Mike Whitney driving.